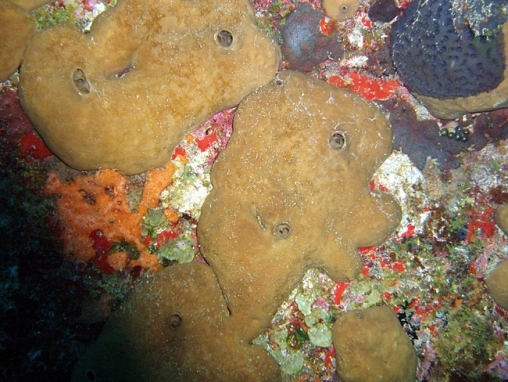 Small brown lumps, usually with paired pores, colonies rarely exceeding about 10 cm across. The surface is smooth and sometimes shiny. The common name of ’chicken liver sponge’ describes its appearance and texture. The sponge apparently can hang from ceilings, stretching itself as a means to disperse (see photo). 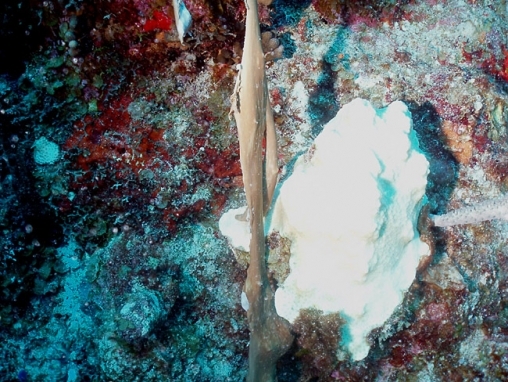 The name nucula is for Mediterranean populations, but there is not yet a clear name for Western Atlantic species.